My very favorite antique teddy bears tend to be not the high end models, like Steiff, or those in rare mint condition. 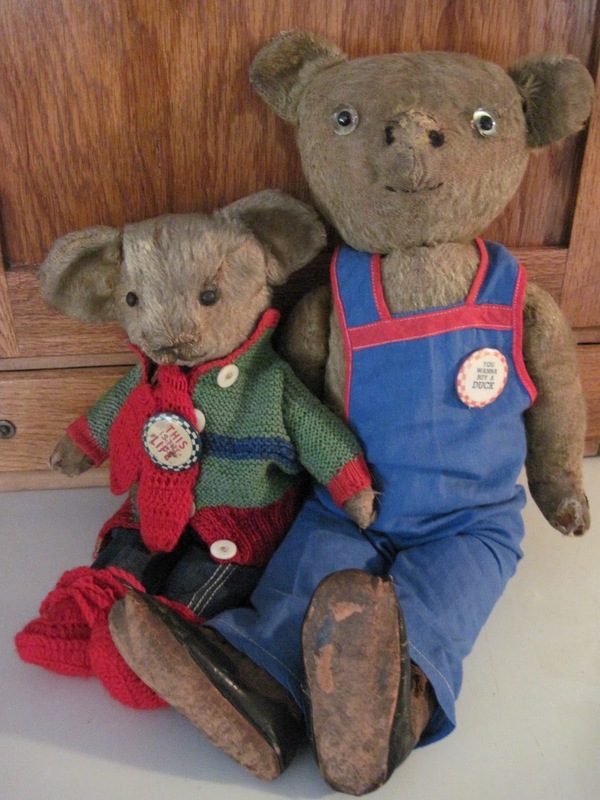 Although of course I enjoy finding such fine examples, I actually prefer bears from unknown makers who had, shall we say, less than a firm grasp of stuffed toy design. I also adore bruins who have been heavily loved, and experienced a lot of life. These two factors combine to create bears who are full of character, like "Rupert" here, a c.1915 American teddy with the hugest ears I've ever seen. 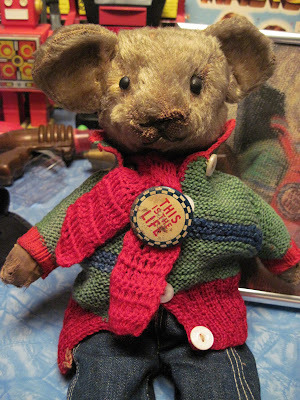 Rupert was lovingly dressed long ago by a previous owner. I'm leaving him as found, especially as his clothes are helping to hold him together! 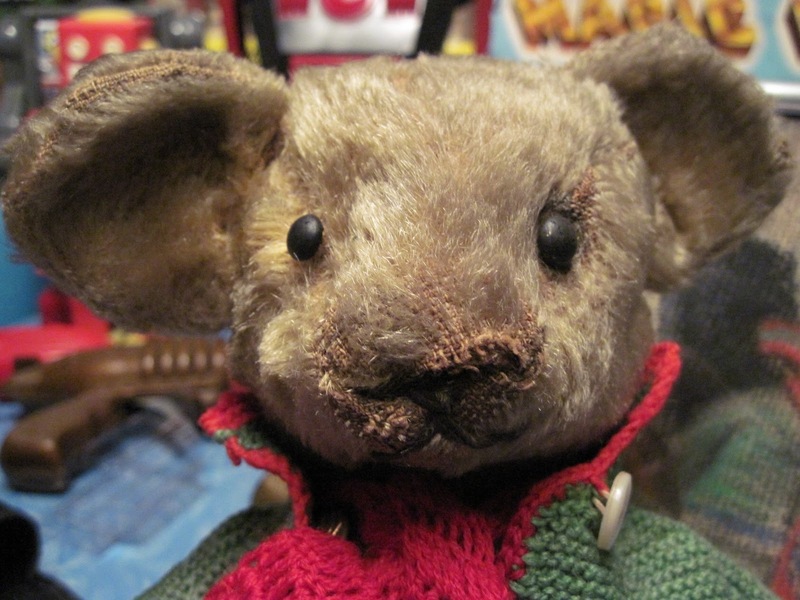 Is this the cutest face ever seen on a teddy bear? I think, quite possibly, yes. I'm not sure what the beer bottle signifies. I'm hoping Rupert doesn't turn out to have a "drinking problem..."
Oh my, can you imagine...a bear with a drinking problem? How awful would that be? He's adorable Tracy! Great find and I agree wholeheartedly, some of the finest old bears are those we know nothing about. 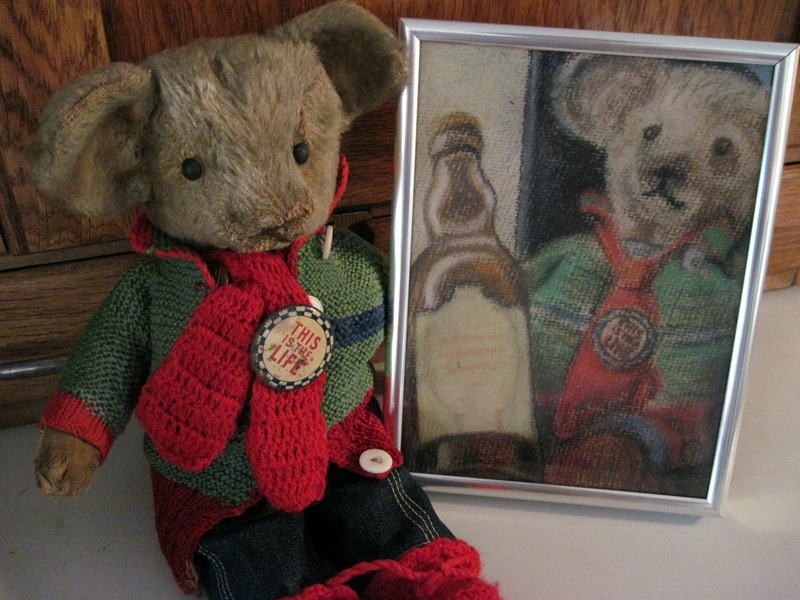 Mind you, this fellow came with the portrait...that's pretty cool and probably all you need to know about him! This is by far my favorite bear from your collection. I simply adore him.